1. For Samsung HW-M360/ZA, please see Page 24 under the User Guide. 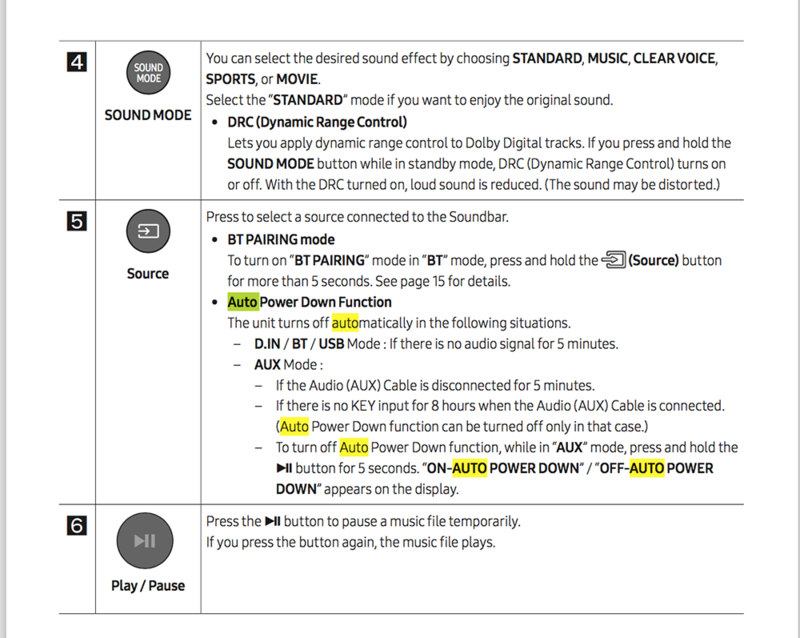 Use a 3.5mm cable to connect the Soundbar to the Zoom Rooms PC/Mac, set the Soundbar to AUX, then turn off the Auto Power Down. 2. For Samsung HW-J250, please see Page 15 under the User Guide. 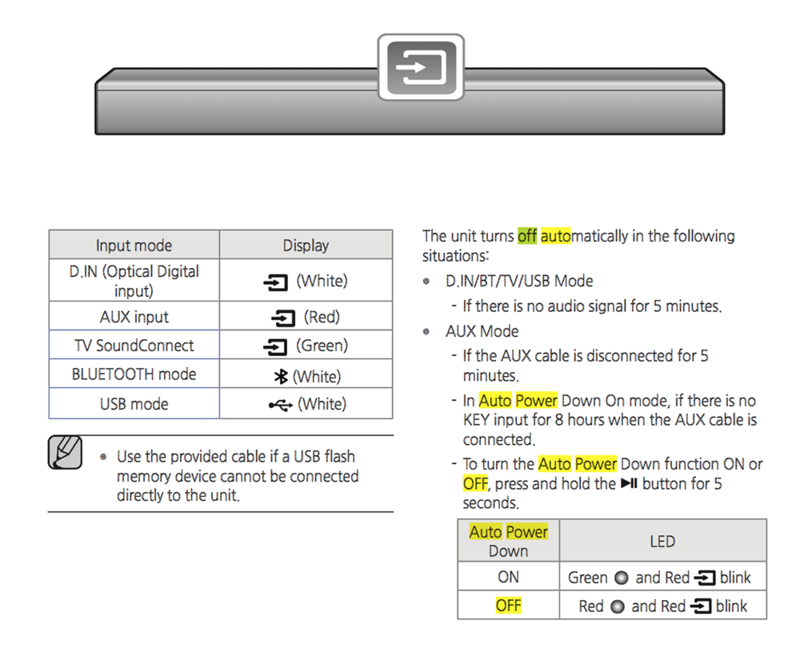 Use a 3.5mm cable to connect the Soundbar to the Zoom Rooms PC/Mac, set the Soundbar to AUX, then turn off the Auto Power Down.